There is some wonderful work happening in the creative ageing field with spoken word, creative writing and literature - and there should be more! 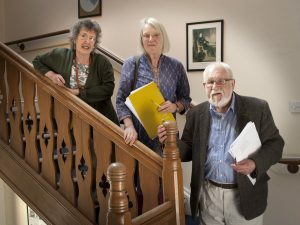 Our Arts and Older People’s programme is rich in examples of the use of creative writing and spoken word techniques, as is creative ageing more generally. 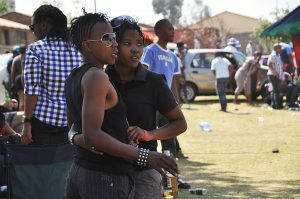 I sometimes wonder if they are rather hidden treasures and this blog is intended to make them sparkle more brightly. The Elder Tree – Writing East Midlands will be empowering groups through story-telling, memoir writing, poetry, group-reading and role play. 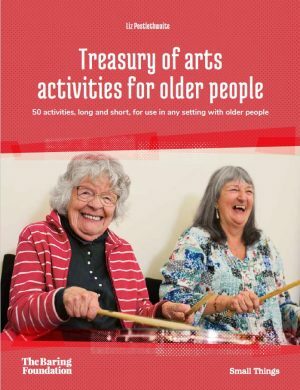 Words of Wisdom – will be a partnership between City Arts, Theatre Royal and Nottingham City of Literature to use literature venues to create new writing by older people and a series of films. There is of course an enormous amount happening outside our funding. Susanna Howard is an admired practitioner who has set up Living Words. She has created a technique of sculpting the words used by people living with dementia into poetry which is then collected into Living Words Books. This technique is now being taken to the National Theatre of Taiwan. 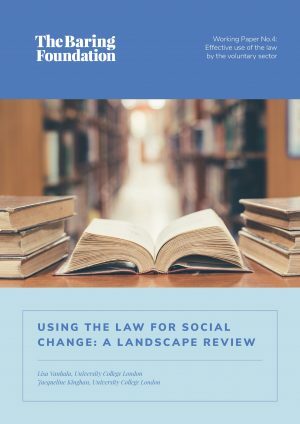 A major development has been the work of The Reader, originating in Liverpool, which has been undertaking shared reading sessions in scores care homes, along with other venues, and has recently been given a major boost with a grant for this purpose of £850,0000 pounds from the Big Lottery. There are a number of wonderful initiatives in the Netherlands which I would love to see take root in the UK. Principal among these is the ‘Groot Letter Festival’ (or Big Type Festival) run by the literary agency Wintertuin and Vitalis, a very large care home provider. 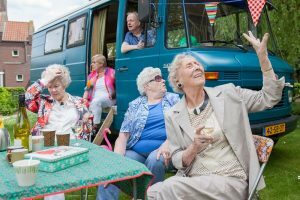 A festival in Eindhoven in 2017 invited famous writers to spend the day at the care home with music and other entertainments on offer. A second edition is due to take place in Rotterdam in 2019. There are other elements to the work of Wintertuin and Vitalis partnership. ‘The House of Stories’ is a series of creative writing classes with care home residents – billed as ‘Prose instead of Prozac’ – which happens over the course of a year. It is a talent development initiative for writers over 80 with young mentors. This leads to books which are produced to professional standards and the authors are given training on how to present their work. Then ‘Q & A with the Grey’ sees older people set up their stall at Literary Festivals and people can ask them questions about getting older. Finally the ‘Writer in The House’ programme places writers literally in residence for a month in care homes. Let’s take a leaf from their book and create an exciting next wave of work in the UK. Dutch old masters - and mistresses! 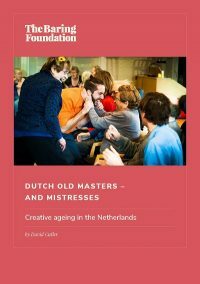 A review of creative ageing activity in the Netherlands by David Cutler.